We have read about the Barnsworth family in The Adventures of Pearley Monroe. 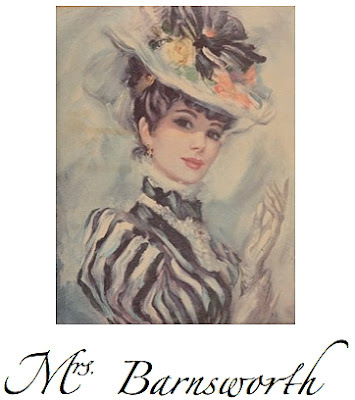 Consider all the information we have read and discussed with respect to Elizabeth Barnsworth. Think of when she first arrived in Coloma all the way to when she departed and everything in between! What is your opinion of this character? Create a piece of writing that fully details your ideas about her. Give a strong topic sentence, use precise details as proof of your topic sentence, and finish with a powerful conclusion sentence. Be sure you edit and revise your writing so that it is as good as you can make it. Be sure the grammar and spelling are strong. Remember, our blog is read all over the world, so let's teach the world about Mrs. Barnsworth! You may also comment on the writing that your classmates create. You may ask them questions, disagree (as long as you state your reason), or give a compliment about what they have written. It's always fun when people leave a thought about the work we do.